The art of making classical tutus is so fascinating that some people imagine this vocation as something that they would like to do for a living. After all, how hard could it possibly be? Dreams are attainable with the right mind-set, but it is always wise to learn the realities and sacrifices of whatever you choose to do for a living. The road to learning professional construction techniques for theatrical costumes is a long one. Very, very long. 95% of the people who attempt tutu making are home sewers trying to make a tutu skirt for a child for fun. Forums are full of frustrated sewers that throw their hands up in the air over out-of-control netting, splitting seams, jamming needles and other mishaps. Doing it right for a fun child’s outfit is hard enough for most people. Few can get it right for real ballet dancers. Very few. Are There Schools That Teach Tutu-Making Skills? Yes, students interested in this profession can find the right training if they look hard enough for the right school. Training is far and few between, however. 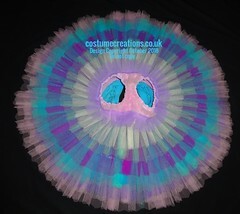 The surprise comes when people realise that a ballet tutu is not something that is simply put together in a sewing course, but is part of the intriguing lifestyle of performing arts experts that have a deep knowledge of the stage, theatrics, drama and presentation of a story to an audience. Professional costume making for ballet includes knowing and understanding roles, characters, choreography and ballet terminology. The layers of knowledge required are thicker than a fluffy tutu skirt, aren’t they? 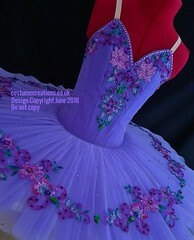 Accredited colleges that offer courses on costume making do so through their drama departments. 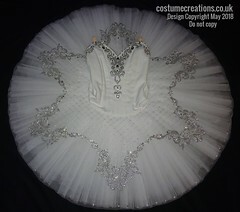 Tutus are just one type of garment that is considered a theatrical costume. Students will not start out measuring and layering tulle, but instead will spend the first part of their studies learning the history of ballet and the science of dramatic stage performance. Books first, scissors later. Nobody can construct anything for an art they know nothing about. Why The Scarcity Of Ballet Costume Designers? The theatrical world is losing their available base of experienced costume makers. In this article, Tutu Makers And Proud, We Must Learn Trades, the writer examines this issue with passion. 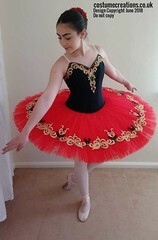 One of the issues is the fact that tutu making is a very specialised niche. It is so specialised, in fact, that the circle of knowledgeable couture designers is shrinking every decade. In the dance venues of London alone, designers are stretched to the limit. 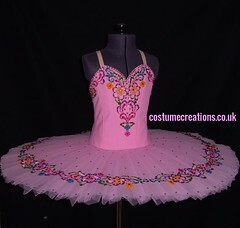 Unlike other professions that will hire a youth right out of a university with the right degree, dance theatres rely heavily on the expertise of costume makers that have been around the block, so to speak. Hand sewing the tiny details that make each ballet costume unique is a team effort behind the scenes of many dance theatres. One works silently to apply sequins piece by piece to trim. The trim is passed to another for application to a costume. Private couture experts do it all themselves! There is no team of sewers if you plan on being a private designer. You will need to become skilled in every aspect of costume design from start to finish. Can you sit for hours taking tiny stitches on delicate fabric with an eye for perfection? Do you understand the way certain types of materials drape and contour to a moving dancer’s body? Do you have the patience to pick apart those tiny stitches if the garment doesn’t lay right? Can you do this whilst maintaining an urgent deadline? Do you understand how music, emotions, movement and garment design come together to create a soul-stirring ballet presentation? These are just a few questions to ask yourself. What are modern concepts in classical ballet? It means taking a garment construction method that is steeped in history and trying to put a “modern” twist on the design. It can also mean trying to mass-produce cookie-cutter costumes lightning fast. Classical means historically traditional. Slower. Time-consuming effort. Modern means stepping away from the traditional. It means embracing fast ideas, overnight success and quick results. Can you see how this clashes with the ballet profession in general? We have joked here on Tutu-Love about this modern “hurry” sickness that pervades our world and whether someone will try to invent a quick, printable tutu online. Funny, but it smacks of truth. Anyone who has their heart set on making a real living with costume making has to realize the high standards that will be expected in the finished product. Do not think that a ballet costume can have the slightest flaw and be okay. 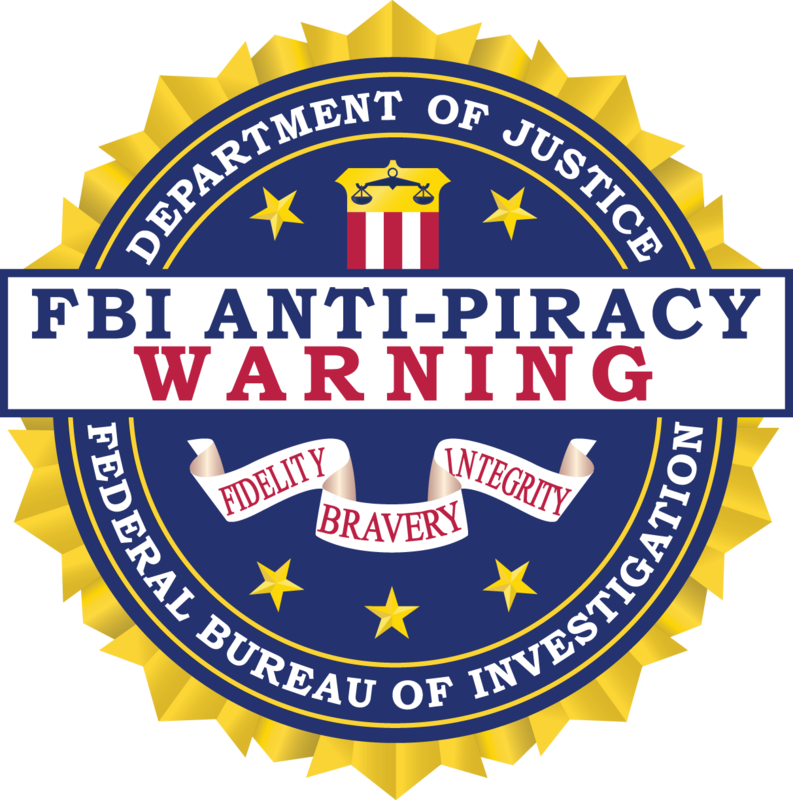 Word will spread throughout theatrical venues that your design techniques are less than perfect. 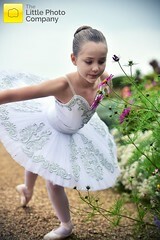 Constructing classical tutus are for those who embrace perfection in all they do. Are Couture Tutu Designers Born Or Made? 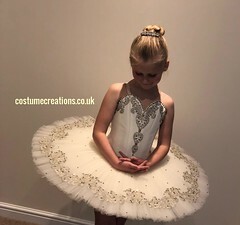 Do you think that costumers who make some of the world’s most beautiful tutu designs are simply gifted, or do you believe that anyone can develop the skills to create stage-worthy garments? 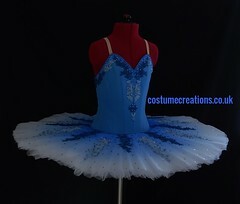 Classically perfect ballet tutu in blue made by dance couture expert Monica Newell of Costume Creations U.K. When we consider that this garment is not off the rack, but bespoke, it becomes more than admirable; it is awe-inspiring. I can tell you what I believe. People who create things of beauty and function for the world of the performing arts by hand are themselves performing artists. They are born with it. Many times this artistic talent will run in the family genes. Those who are born with this talent apply knowledge and skill to what they already have inside them. No wonder the talent pool for this craft is so specialised. Tutu makers are tradespeople, artists, theatrical wizards and painters of colours. They are visionaries and creators. They take the shapeless and create form and function to it. They produce timeless beauty for others to enjoy. They have the wisdom to embrace and respect time for what it is; an opportunity to keep a beautiful tradition alive. No college course can give you the inner patience required to handle delayed gratification. It cannot take the place of inborn talent or genetics. It will not change your true inner beliefs about what you consider to be fulfilling lifetime work. People can learn to sew and embellish, but the honing of a craft like tutu making is a lifetime journey. how do I become a professional ballet costume designer? Next How Does A Ballerina Learn To Deal With Her Tutu Skirt? 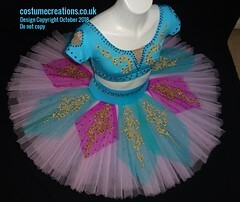 All that you say is very true, making tutus is tremendously rewarding but does require total dedication.